After accepting Christ in sixth grade, Shaun Groves developed a passion for excellence in every aspect of his life. He dedicated himself to practice his music with a newfound intensity, which resulted in his catapult from last chair to first chair in the school band within months. Groves ' drive and determination would eventually lead him to attend and graduate from Baylor University with a bachelor's degree in music composition on a full-ride private music scholarship. 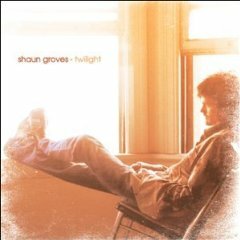 Shaun Groves defies typical expectations and simple labels. He is an insightful songwriter, one who displays such incredible lyrical prowess that his musical peers nominated him for Songwriter of the Year solely on the strength of his 2001 debut, Invitation to Eavesdrop. With Grammy and Dove Award winning producer Monroe Jones (Chris Rice, Ginny Owens, Third Day, Mark Schultz) at the controls, Groves has created an astounding pop/rock album celebrating the joy and wonder of his daily walk with Christ. 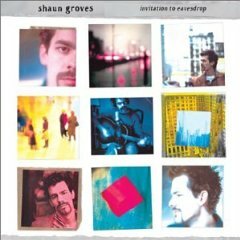 To listen to Shaun Groves’ music showcases a complete and talented artist in full bloom, constantly reaching for excellence. 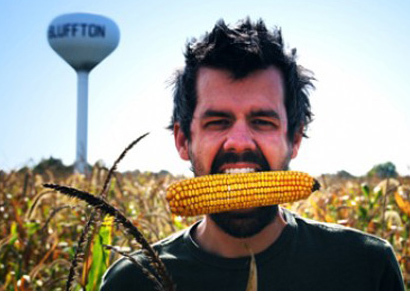 More than a musician, Shaun Groves is a communicator, a man full of messages and ideas that he hopes to translate through a variety of media. A writer, teacher, preacher, father, husband… and yes, most definitely a songwriter, performer and musician. 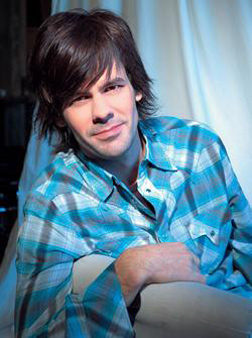 His songs reflect the bare-bones honesty of a searching, passionate faith. Unafraid of the questions or of stepping on toes, Groves sets his sights as high as possible, aiming to pursue profound theological truths in the most accessible lyrical metaphors he can create. 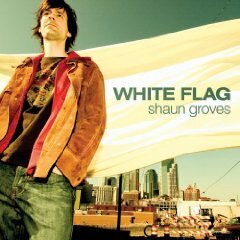 The songs on White Flag reflect Shaun’s response to the beatitudes, to how Christ’s teaching in the Sermon on the Mount, beginning in Matthew 5 - are verses that have changed his perspective on his world, church, family, community and, most importantly, his faith. Each song relates to a specific beatitude, and the album is sequenced in the same order as the Scriptures. From poor in spirit to persecution, these concepts find a home in Shaun’s poignant lyrics, with each song building upon and adding to the ideas expressed in the last.